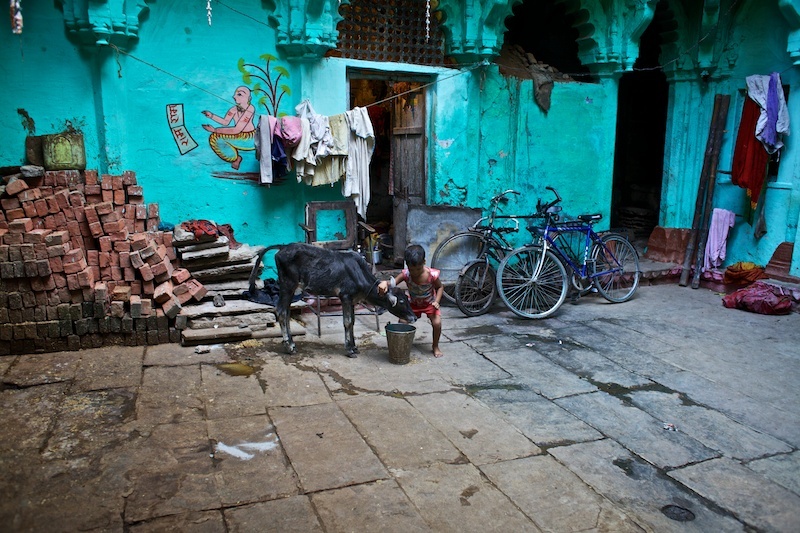 Please let me share with you how I see Varanasi and how life can be in this Indian city. 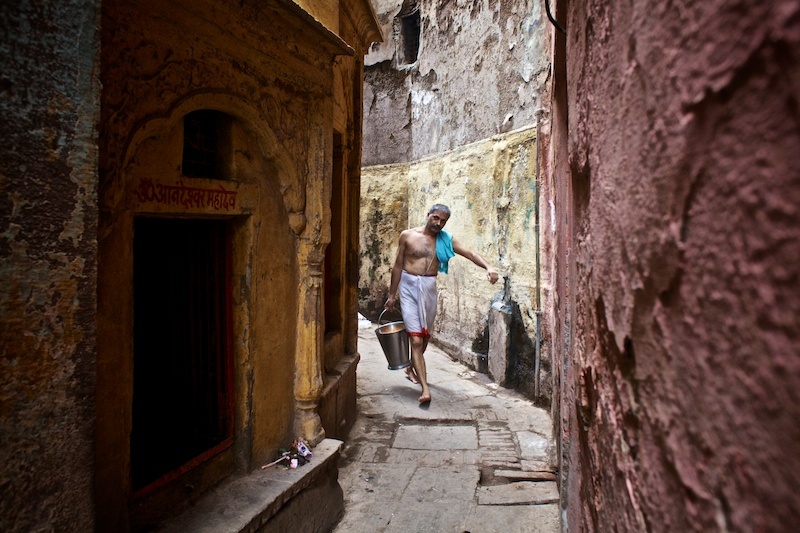 According to Hindu mythology, Varanasi was founded by Lord Shiva. 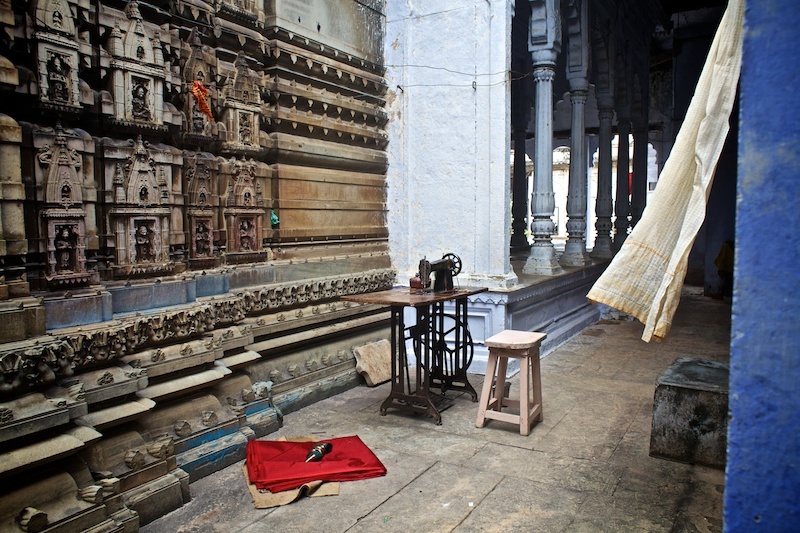 The city is one of the seven sacred cities of Hindus. It is a city surrounded by death. The biggest tourist attraction here is to see the cremations. 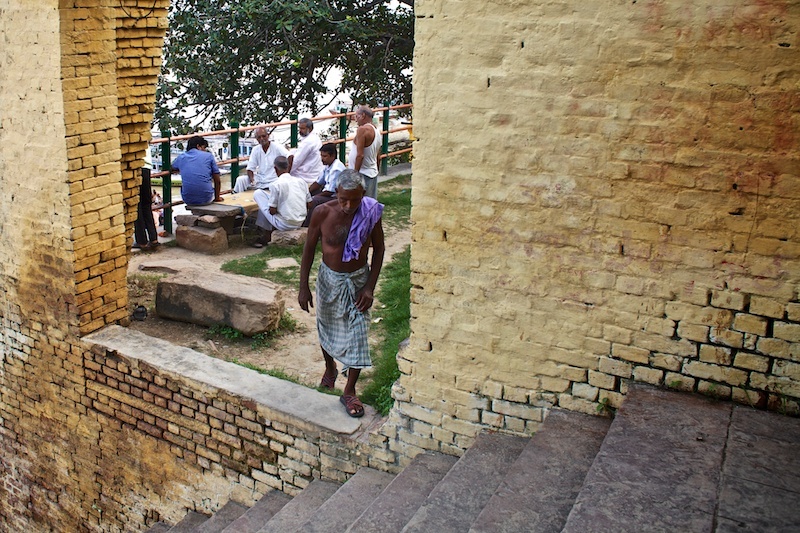 Hundreds of Indians arrange tours for foreigners to where the cremations take place. Other locals charge money to allow visitors to actually see the burning scenes from nearby buildings. “Pictures are not allowed here, sir, but if you want I can take you to where you can take some. Just for 200 rupees,” I was told. But I’ve already been here for some time, so I continue on without any thought of the offer. If there’s one thing I’ve noticed about this city in the time I’ve spent in India, is that it’s chaotic. I am staying in a room here, which reminded me of Van Gogh’s “Bedroom in Arles”: a simple bed, one chair and one table. The room costs around 150 Rupees (US$ 2.40). The neighbors have a baby who cries all day long. Pairs of dogs fight down the street. The man at the reception reads aloud all day long. It seems like he has some problems to concentrate in silence. There is a fan in my room; it has one speed and barely moves. The heat is killing me. I do not sleep alone: two mice come and go from the window and crawl around below my bed. I share the toilet with a couple of other travelers. The one from Spain came to Varanasi to learn the tabla – an Indian drum similar to bongos but with varying tones – and in the afternoon, he sometimes plays music for us. There’s also a girl from Italy who tries to explain to me how energies work in the body and how “chakras” – an energy center in the human body. She explains that there are seven chakras and it is taught in Indian yoga. It doesn’t matter how many times I say I’m not interested in energy or spiritual ways, she persists and is convinced that I must find “the way”. The street in front of my hotel is under construction. 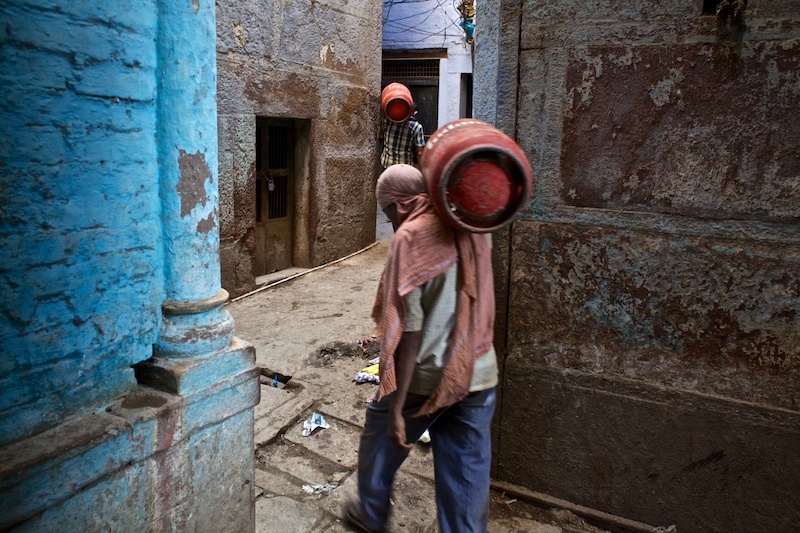 During the nights, men from the Musahar caste – one of the lowest one in India – work all night trying to fix the mess around. I wonder how many more days they will need to construct 50 meters of road. In all of this, I find sanctity in waking up before sunrise to go photograph this world. 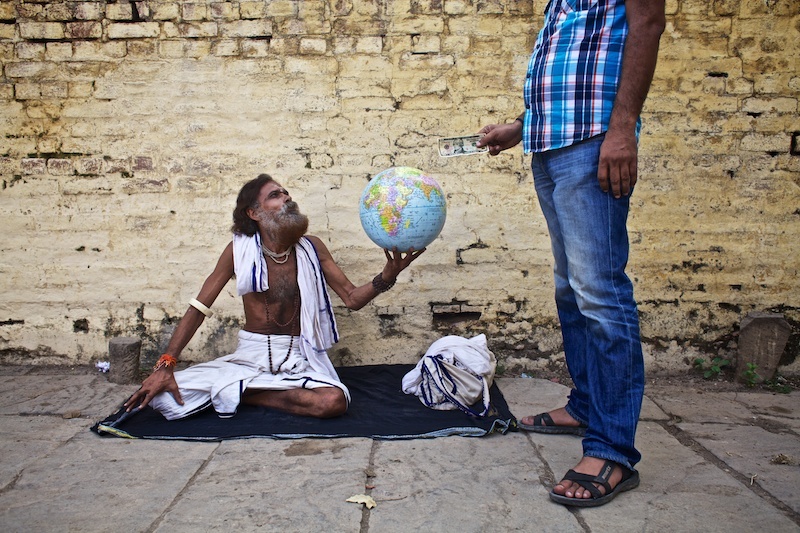 Just on the corner from my hotel there is an old guy selling chai (Indian tea), and a few meters from him there is another man selling tobacco. My routine is to have one tea and speak with the man for a couple of minutes. The conversation is always the same and tends to be short. It ends when the tea ends, and I move on. Sometimes when passing the tobacco guy, he says that it looks like I have some problems and suggests that I do some yoga and meditation. “I can take you to the best teacher in town!” he shouted once. “I do not have any problem. Thanks for the offer, brother” I said. 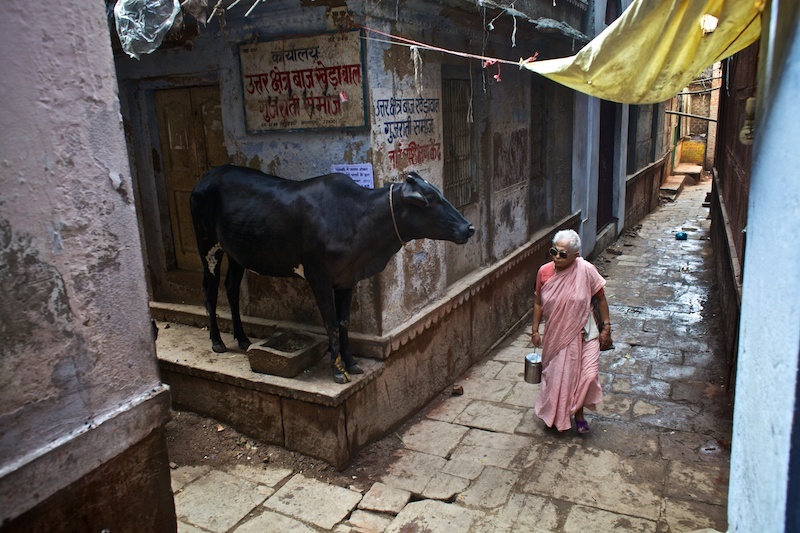 Walking down into the old town in Varanasi is a paradise for capturing photographs. The environment is mad. There are cows all over the place. 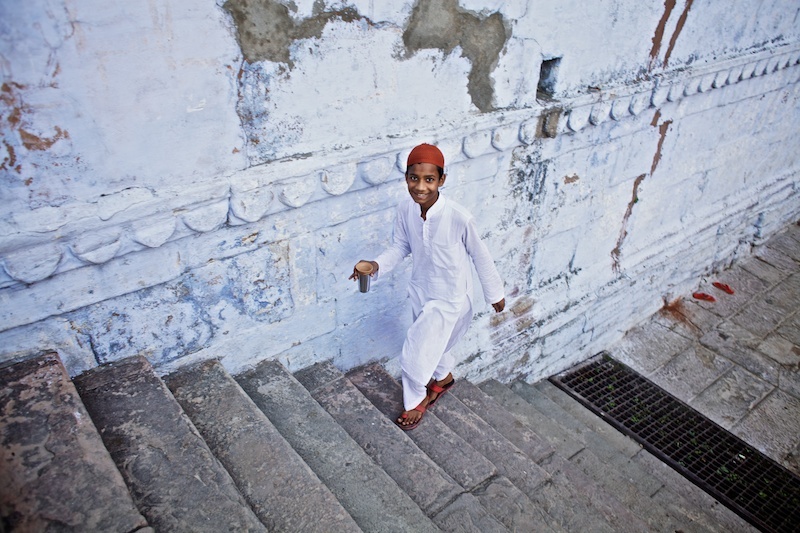 One day I was on my way to have a lassi (a typical Indian yogurt-based drink), but just before I turned around the corner some people ran passed me heading the opposite direction . Apparently a cow had gotten angry and wasn’t allowing anyone to pass through the street. I asked the owner of the lassi shop, who told me someone pushed down the cow’s head too hard, which made it angry. 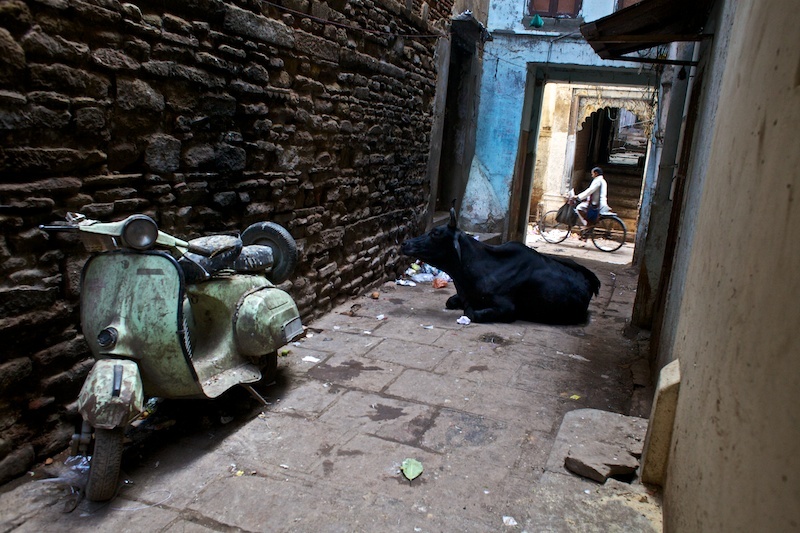 In the midst of all of this, it’s really the dogs and monkey who own Varanasi. Every street has a gang of dogs and every roof has a gang of monkeys. Whoever decides to cross the invisible borders between has my pity: it is a war to the death. A stick is therefore a fundamental weapon in every shop in town. Dogs and monkeys know this and will try to keep far away from the most dangerous animal: the human being. You’ll even see people hitting dogs or monkeys on a daily basis. 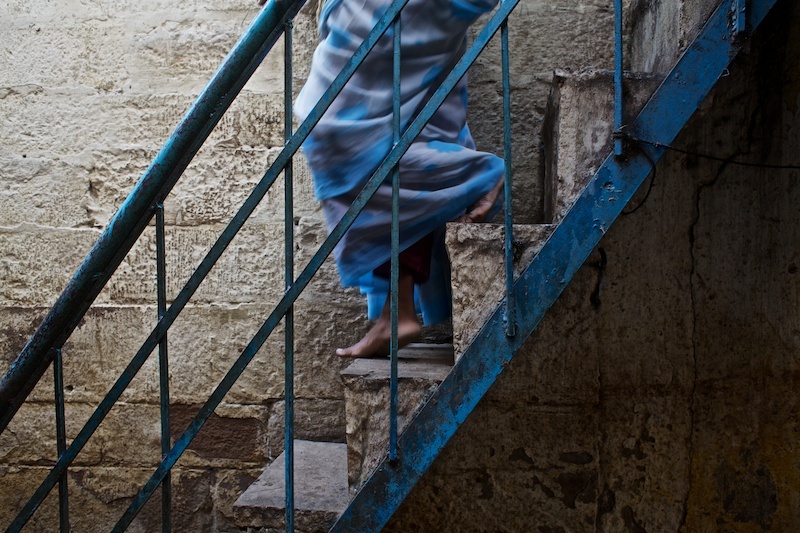 Some afternoons I like to go up to the roof and see how groups of monkeys start moving from roof to roof. A fight is inevitable. While monkeys run and jump here and there, human beings take stones and sticks to prevent monkeys from jumping into their houses. The atmosphere is strange, yet it’s hard to get tired of it. Despite the craziness of this city, it is easy to find places to chill out and relax. My favorite place for example, is the roof at my guesthouse, where the sunrises and sunsets are spectacular. 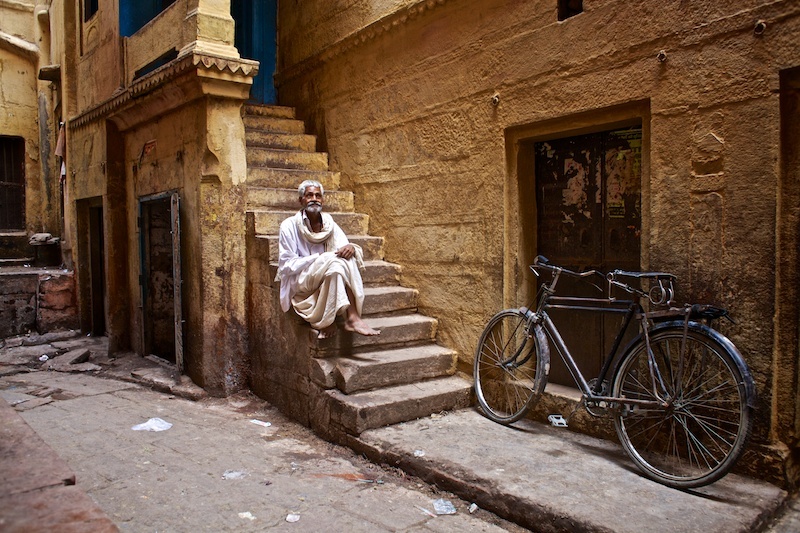 Here are some of the pictures I took in Varanasi.